We all know a Stag Do is about that last night of freedom. The typical Stag Do has changed over the years, having become more associated with a ‘getaway’ with the lads as opposed to one last final big night out. It’s always good to have a plan because the last thing you want is an even worse hangover than anticipated to ruin a planned activity with the lads. If you’re travelling to a hot destination then knowing your itinerary will heavily influence the items you pack – because nobody wants to lug around a winter coat in the sun, right? Although we generally recommend packing light – You’ll need to figure out if you’re taking a carry-on or putting your bag/s in the hold luggage. 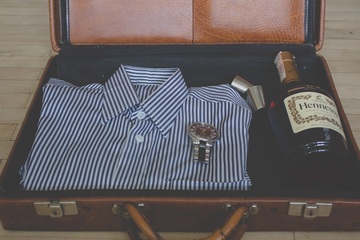 Your plane ticket will include carry-on luggage in its price and is the most practical option, however, if you have something big planned for the groom-to-be, then that extra luggage might just be for you. Before you make your decision – check your airlines’ weight and size policy as this differs per provider. If there’s a fairly big group – we know that some lads decide to pack their things in either one or a couple of bigger suitcases to put in the hold. This option is great as it will allow you to take a carry-on and have belongings in the hold (plus its cost effective for everyone involved). Clothing will undoubtedly take up the most room in your luggage. If you’ve got a favourite pair of jeans or chinos – these will be enough for your getaway. Pack a maximum of two pairs and they’ll go with pretty much every outfit. Having at least 3-4 choices will be enough to suffice. Make sure you have a balance of ‘day wear’ and ‘party wear’ so you’ve got enough to choose from. Even if you’re in a hot country, temperatures can plummet at night time (and especially when you start to sober up at the end of the night) – It won’t hurt packing at least one item that’s enough to keep you warm. This coincides with the previous point – Although it’s not a necessity, it might be useful for any cold spells you experience during your travels. You will go swimming. Or possibly skinny dipped. Whatever you decide to do – packing a pair of trunks will work in your favour. 2 in 1 shower gels that double up as shampoo will save you tons of room in your luggage. Something that’s very easy to forget – don’t be that guy. These aren’t just for the ladies. Maybe you’ve overslept and you don’t have time to shower before your outing. As shameful as this might be – a quick wipe down can work wonders for that fresh-feeling. You’ll need an adapter to charge your phone or plug in your hair straighteners. At least half of your group will forget to bring one so this is your chance to step up and be the ultimately prepared legend of the group…But just be sure no one ‘accidently’ keeps it. These effervescent wonders are a godsend for the morning after. Not only will they replenish your lost fluids but they’ll help counteract any acid reflux from the booze and take away from the night before. Another godsend for obvious reasons. Pack some painkiller tablets like ibuprofen or paracetamol to relieve the painful effects of your hangover. We highly recommend these in effervescent form too to help rehydrate your body in its hung-over state. 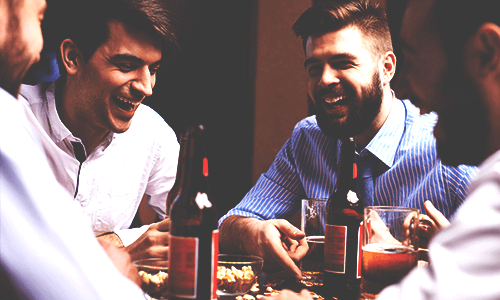 With the amount of drinking, group activities and walking you’ll be doing, it will easily have an impact on your hydration – not to mention water isn’t the first drink that comes to mind on a stag do. Rehydration tablets are a godsend for a Stag crew and work by temporarily relieving the awful effects of dehydration (such as diarrhoea) and replace any lost salts. If your Stag Do happens to be in Europe then most definitely pack your EHIC card (especially if your destination is included). If you’re from the UK then you can get one absolutely free from the NHS – this will save you tapping into your funds for treatment. Travel insurance is also vital should anything go horribly wrong during your stag getaway, keep a copy on hand for your reference should you need to know what’s covered. The most essential tip on this list that will actually get you on the plane! Ensure you triple check you have your passport, tickets, the correct currency of money and your house keys before you even set foot out the front door. Absolutely take your phone, even if it charges an arm and a leg. At the end of the day, you’re on a stag do, abroad. Anything can happen and I’m sure the safety of your fellow lads is far more important than a data roaming bill. If you’re off somewhere hot and sunny then definitely invest in some shades with a ‘UV-400’ label – this essentially means it protects against UVA and UVB light which can be harmful in high doses. Absolutely do not forget sun lotion for the same reason, especially if you burn easily in the sun. This could also be a fantastic prank idea – we’ll leave the rest to your imagination! You don’t need a DSLR to capture the amazing memories on your Stag Do, but a decent compact or camera phone can work just as well. Don’t worry too much about capturing the perfect photo – you want to capture all those silly and hilarious moments that you’ll cherish for a lifetime. Declan is a Marketing Executive for Mersey Games – Liverpool’s’ wacky outdoor activity provider for Stag Dos, Hen Parties and Birthdays. Mersey Games are Liverpool-themed games, including Scouse Duel, Penny Lane Bowling, and the Bevvy Bungee Run!